Unfortunately, food allergies are becoming more common. They are most often seen in people with other underlying allergies and a family history of allergy. And while most allergies present themselves in childhood, they can occur at any age. When living with food allergy, every restaurant visit, every snack or meal can be a challenge. Dr. Mary Morris presented “Sublingual Immunotherapy for Treatment of Food Allergy” at the December 2018 Food Allergy Research & Education Teen Summit. Hear her presentation comparing the safety and efficacy of SLIT and OIT using recent research studies. Often there is an underlying inhalant allergy, such as dust mite, which primes the immune system to react to certain foods. Diagnosing food allergies starts by observing symptoms when troublesome foods are included in a person’s diet. Testing can be done by food challenges or blood testing. Blood testing examines the antibody levels to specific foods and is safe and reproducible with few false positives. The only way to change the underlying allergic disease is immunotherapy. Treating food allergies with sublingual immunotherapy begins at a much lower level than the amount that triggers reactions, but is enough for the immune system to build allergic tolerance. Frequency of dosing is a key to making sublingual immunotherapy effective. 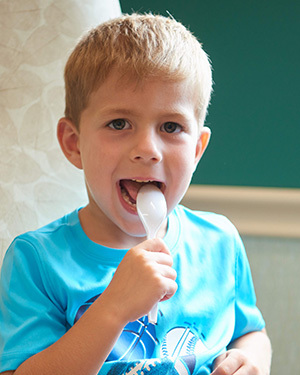 La Crosse Method Protocol for food allergy is dosed three times daily to provide consistent stimulation of the cells under the tongue that build tolerance. The goal of sublingual immunotherapy treatment for food allergy will vary from patient to patient. For those with mild to moderate allergies, it is possible to reintroduce allergic foods into the diet. For those whose allergies are severe and life-threatening, the goal may be to reduce the likelihood of an allergic reaction to an accidental exposure. Food allergy diet and nutrition counseling is available. Our clinic nearly 50 years of history treating food allergy with sublingual immunotherapy. Allergy Associates of La Crosse clinic founder, Dr. David Morris, published his first paper on sublingual immunotherapy for food allergy in 1969. More than four decades later, this treatment approach’s progress continues. A number of clinical trials are currently in place to help validate what we have observed clinically, and to continue advancing sublingual immunotherapy for food allergy so that more patients can benefit from its use. For a complete listing of sublingual immunotherapy studies, visit www.clinicaltrials.gov.